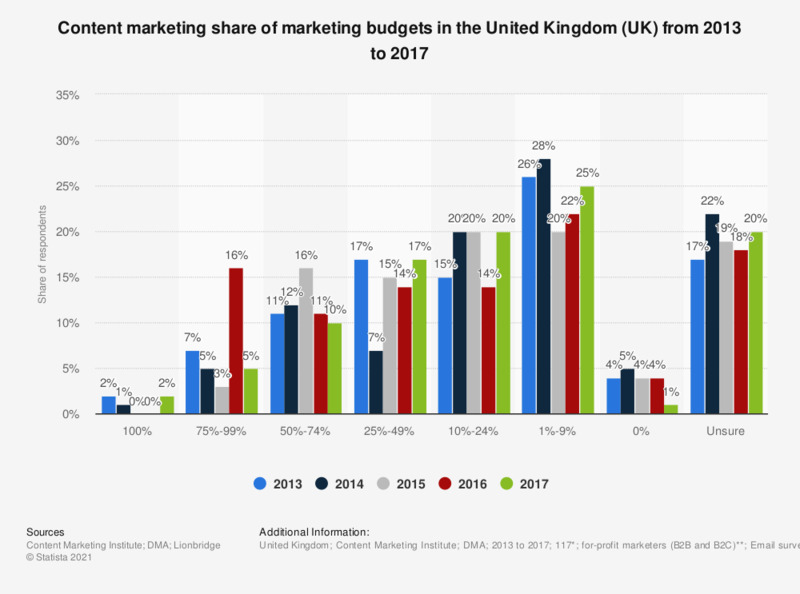 This statistic displays the content marketing share of marketing budgets in the United Kingdom (UK), according to marketers from 2013 to 2017. Among marketers, 10 percent reported content marketing accounted for between 50 and 74 percent of their organization's marketing budget in 2017. ** In 2016, marketers were contacted using lists from Content Marketing Institute, MarketingProfs, The Association for Data-driven Marketing & Advertising (ADMA), and WTWH Media.